New Delhi: Gujarat will soon have the world's tallest statue on the lines of America's famous 'Statue of Liberty'. The Statue of Unity is a proposed 182 metres (597 ft) high monument of Sardar Patel that will be directly face the Narmada Dam, 3.2 km away on the river island called Sadhu Bet of Narmada river, near Bharuch. 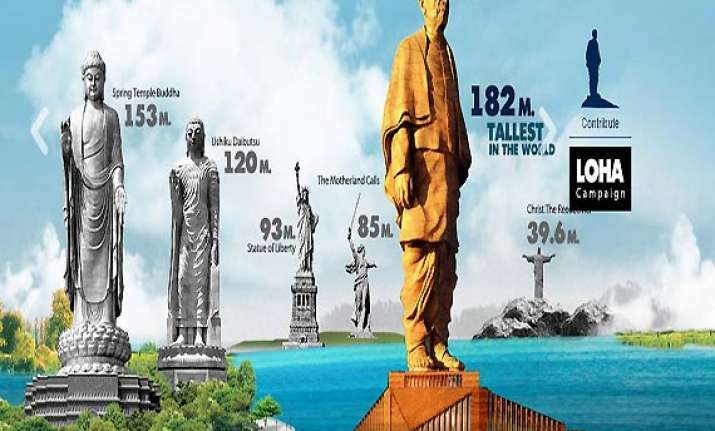 The Statue of Unity will be double the size of ‘Statue of Liberty' in the US and four times higher than the statue of ‘Christ the Redeemer' located in Rio De Janeiro.